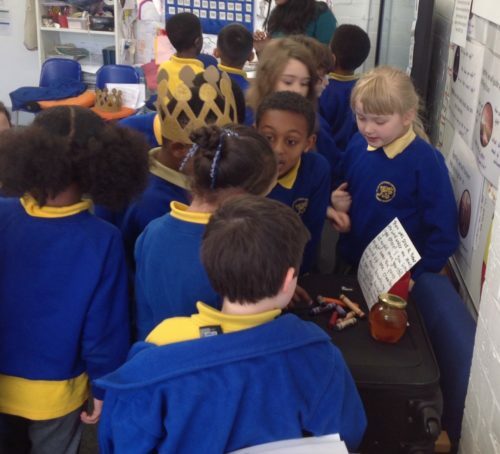 We we came into the classroom and found some peculiar objects. 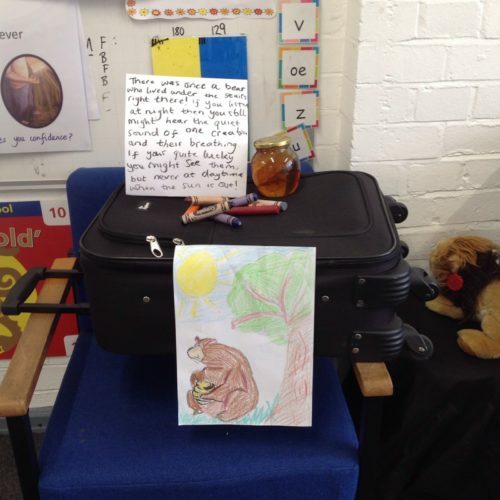 There was a jar of honey and crayons on top of a suitcase! Attached was a note and a picture. We were talking about who could these things belong to and what it could mean. We found out that the note was full of homophones. 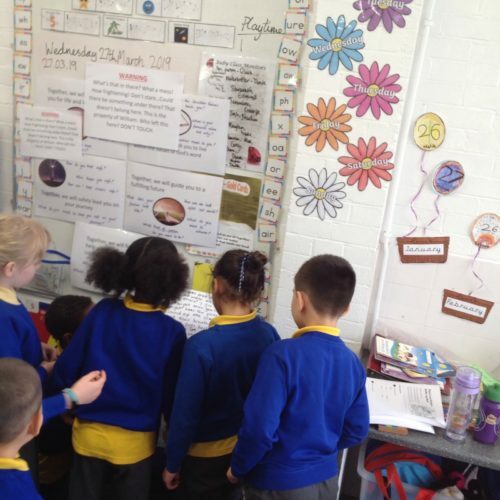 We used our creative homophone knowledge to carry on the story from the note.